An Indian incense that contains Twenty 9 inch long sticks in a hexagonal packet. Each box has six hexagonal packets of one fragrance per display box. 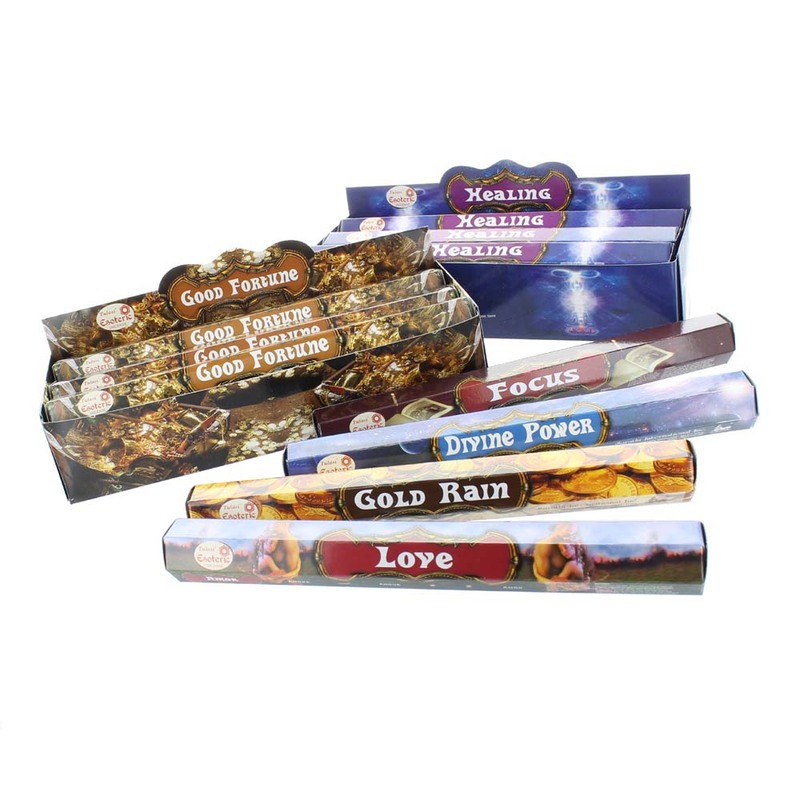 Choose from: Against Jealousy, Divine Power, Erotica, Focus, Gold Rain, Kamasutra, Romance, Silver Rain.